Thanks to everyone who has come to see my humble art blog. I appreciate your eyeballs looking in my direction. Y’all come back now, y’hear? 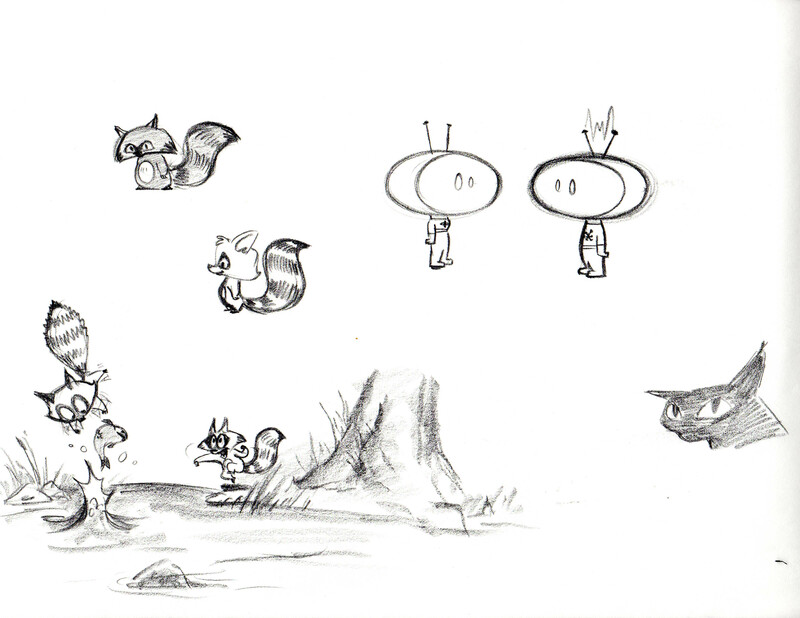 Here’s a little aimless sketch for your trouble, mostly about raccoons fishing. Cheers! Sure! That would be very cool! It’s funny you saw them as tv people. I envisioned them as some sort of space helmet with those throwback antenna that has electricity arcing between the antenna whenever they’re communicating. But I can see how it reads as a tv head!